What do people feel when they donate blood? Life is a gift given by God, but there is one gift that we humans can give each other that has the power to save lives; BLOOD. We all know that healthy individuals can and should donate blood regularly. People who do that often do not just feel healthy, but also feel happy to have helped someone in need. 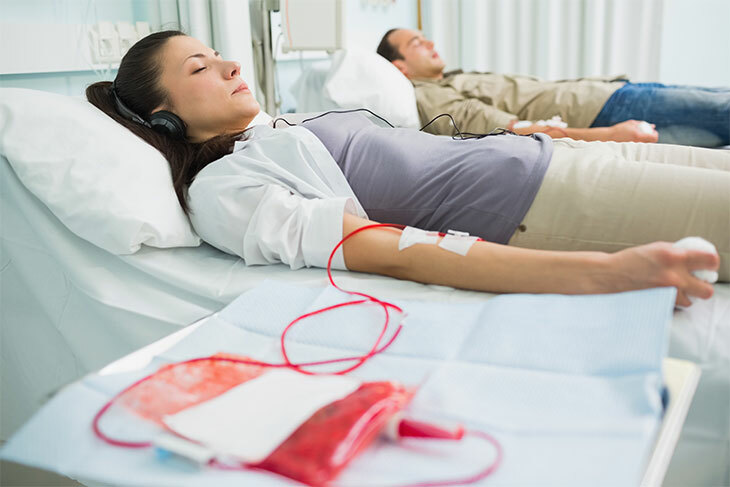 The world on 14th June is celebrating the World Blood Donor Day, which is a global event organised by the World Health Organisation and its basic aim is to raise awareness on the importance of blood donation. 1. I’ve given blood more than 40 times. I never suffered any true negative effects, but I’m pretty large, so a unit of blood is a lower percentage for me than for most. Honestly, the worst part was when they used to apply an antibacterial to the crook of the arm where the nurses insert the needle. It used to tickle me, and I was warned twice that if I didn’t stop giggling, I wouldn’t be able to give blood. I always felt good, knowing that I was helping people who needed blood. 2. I swear I feel as though I’m healthier. It feels like the blood being regenerated has something special, cleaner, or more effective about it; as though toxins are being released. 3. Mentally, yes. I really like the feeling of knowing that my blood is going to be hanging on an IV stand somewhere and giving someone a better chance of surviving after having lost too much blood. Physically, not really. It makes my heart beat harder for even light exercise. For example, I live on the 4th floor of an apartment building and I physically cannot go up the stairs as fast as I normally do for a few days because I have lower blood pressure. Normally I take the steps 2 at a time, but I’m down to one step after a donation. I get over it in about a week and then I’m back to feeling normal. The thought itself is enough that it might be helpful in saving someone’s life..it kind of makes us feel privileged. 5. You can save a life without needing any fancy qualification or training. I think that’s reason enough! 6. Donating blood helps save lives at a very little cost from the donor. Most people experience no symptoms after donating, other than maybe a little dizziness. Nothing a cookie and a nap can’t cure. And it’s an excellent excuse to eat your favorite sweet treat and laze around the rest of the day. We also talked to some kind-hearted people who expressed their willingness to donate blood, but they could not as they themselves were fighting some diseases and were on medication.